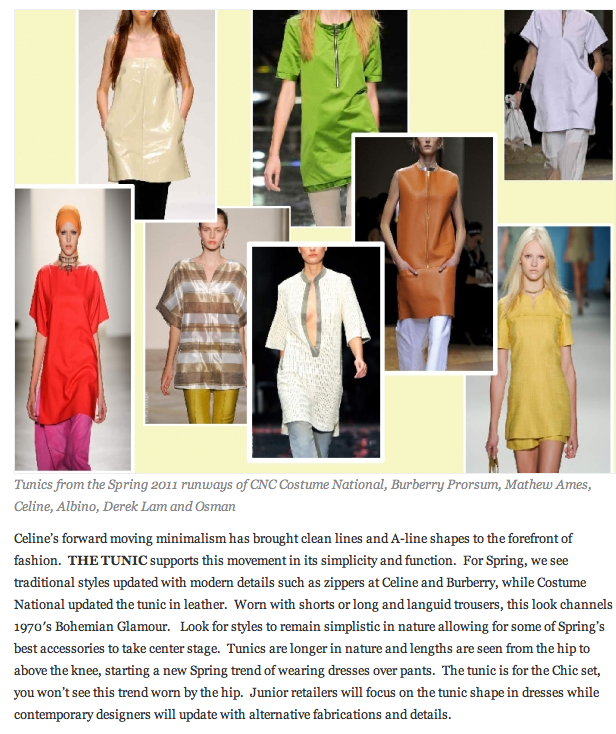 Back when we were going through our top Spring trends in December, The Sche Report introduced the importance of sporting a TUNIC as a Spring/Summer essential. 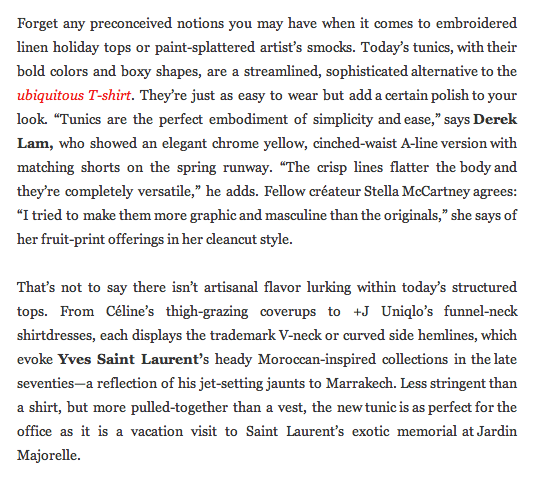 This past week, we were glad to see Vogue validating our trend analysis when they also called out the tunic as a summer trend alert on their web segment “Vogue Daily“. 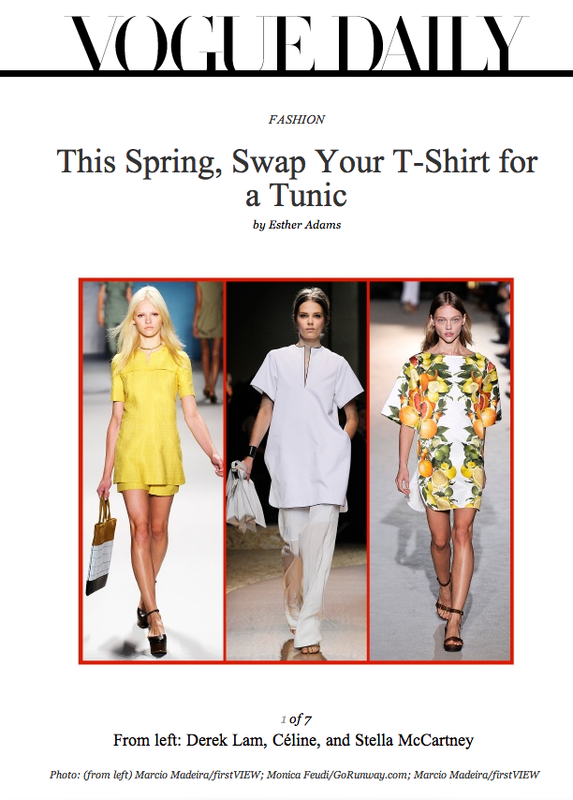 The tunic is easy, understated and perfect for spring whether worn on its own or layered with pants and walking shorts. So the race to get the perfect tunic is officially on and stay tuned for our next post when we bring you the best options available for under $100! And remember that you saw it here first on The Sche Report 5 months ago!!!! So if you are looking to be ahead of the curve, make sure you subscribe and check in with us regularly!